Often used alongside the market-leading Conti® wipes, Clinisan™ Emollient Skin Cleansing Foam provides convenient and gentle cleansing for continence care without the need for soap and water. The formulation provides a ‘protective barrier’ when applied to the skin, supporting skin recovery. 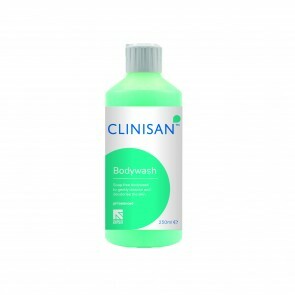 Ideal for use when caring for incontinent patients, Clinisan™ gently lifts soiling, whilst cleansing, restoring and moisturising the skin. We recommend using Clinisan™ Emollient Skin Cleansing Foam alongside Conti® patient cleansing wipes for a full continence care solution.